One of the best ways to get a celebrity endorsement for your legal services without violating Bar rules or paying a ton of money is by just commenting on what everyone else is discussing. Celebrities are people too, and in the course of their fame, many of them end up becoming involved in high-profile legal issues such as divorce, criminal charges, and financial troubles. The truth is, no matter how famous you are, you may end up in court with the same problems everyday people face. So what does this mean for your legal marketing? By blogging about the latest celebrity divorce trial, or giving your two-cents on how Celebrity X's attorney is handling their tax evasion case, you can capitalize on some of the notoriety of the story. Your clients may love to read up on celebrity gossip, and if they're searching for "Lindsay Lohan court battle" and you're a criminal defense attorney who happens to have blogged about her multiple attorney changes, your blog entry is going to be popping up along with all the Lindsay Lohan stories. This is a great way to get exposure for your own blog while also being able to spread your legal knowledge and opinion. There's more to ethically using celebrities in your legal marketing, and my article goes into further detail about how to accomplish this and still stay on the good side of your state Bar. 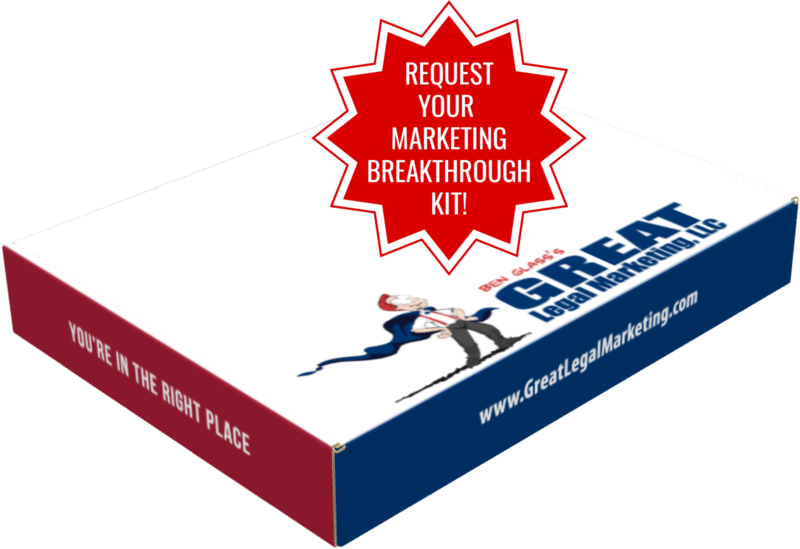 At Great Legal Marketing, we focus on saying NO to ineffective traditional lawyer marketing. We seek out new strategies to market to our ideal clients in ways they'll actually respond to. So, how do you get started? Get a FREE report and CD from legal marketing guru, Ben Glass. Ben will teach you how to: stop marketing like every other lawyer on the block; grow the kind of practice you can be proud of; and still get home in time for dinner. Contact us today - 703-591-9829.